C-Lines will design a solution adapted to your project of pig houses. The use of C galvanized steel profile will make the house very light, resistant and heavy duty. 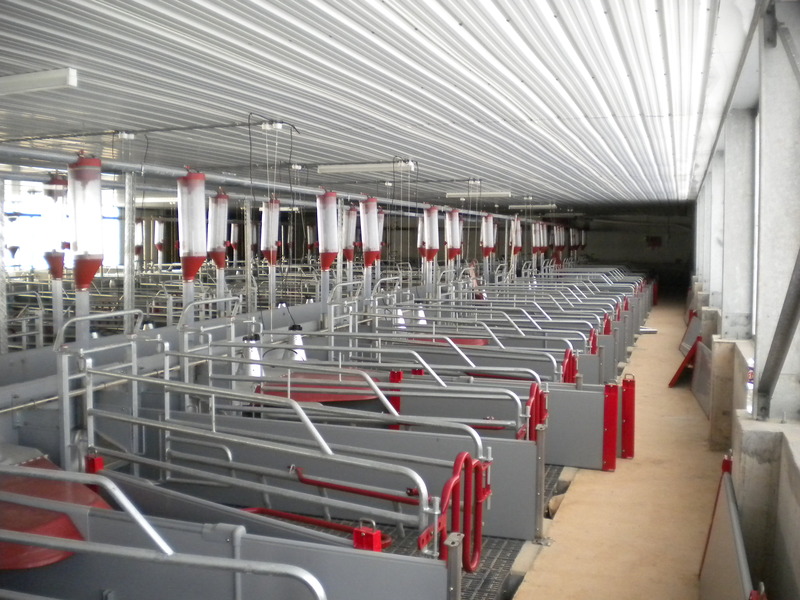 Our experience in pig livestock houses designing enable us to propose a solution allying animal welfare and good productivity. 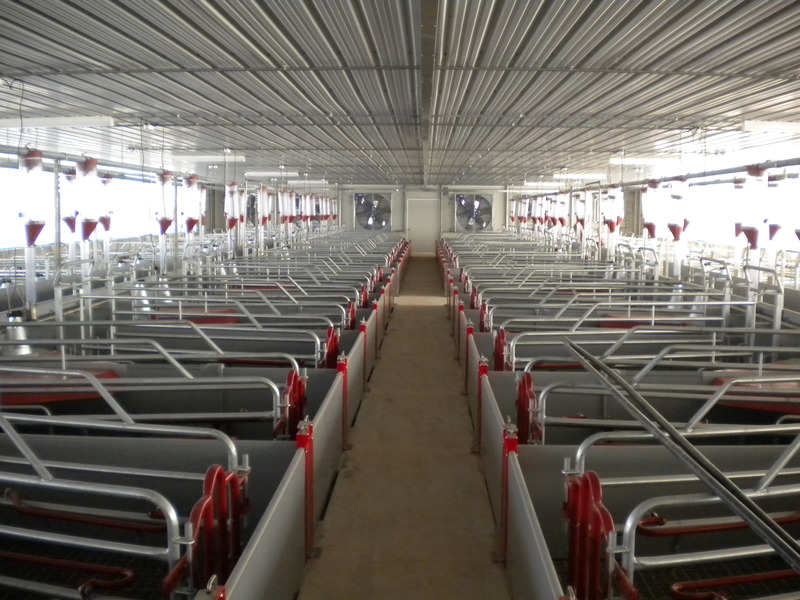 Benefiting from an extraordinary experience feedback from more than 60 countries, and with more than 200 constructions per year, C-Lines has been able to adapt and offer high quality pigs houses. 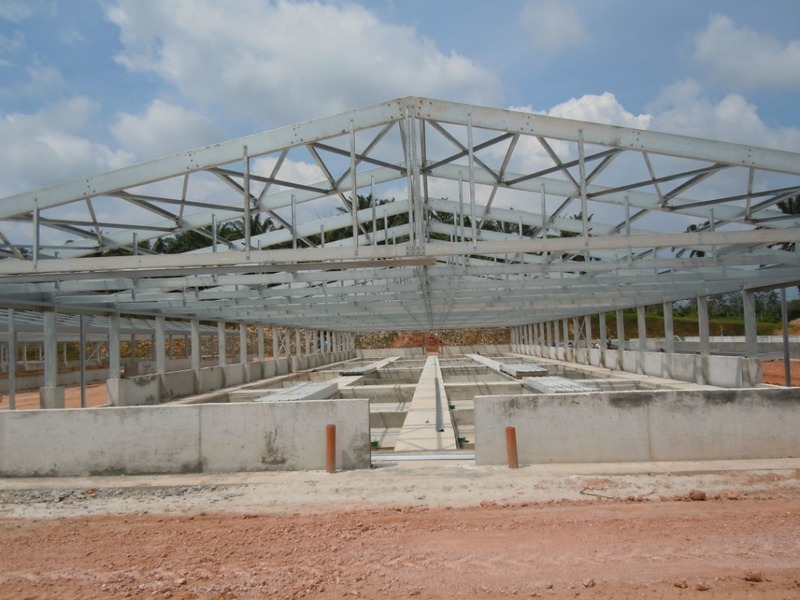 These buildings are bio secured and resistant to any weather condition. Our customer satisfaction and the animal welfare are two of our priorities. "Various and high-quality buildings in constant evolution." 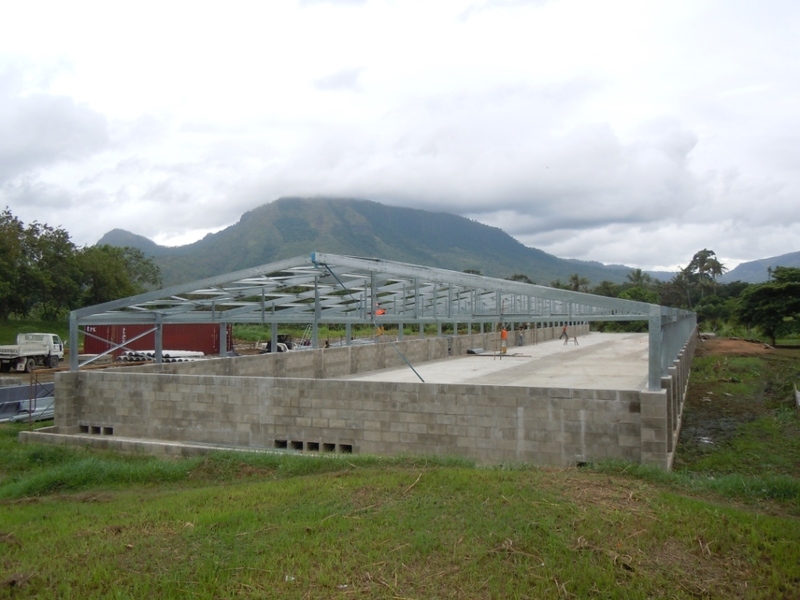 A structure with durable performance and challenging all weather conditions! 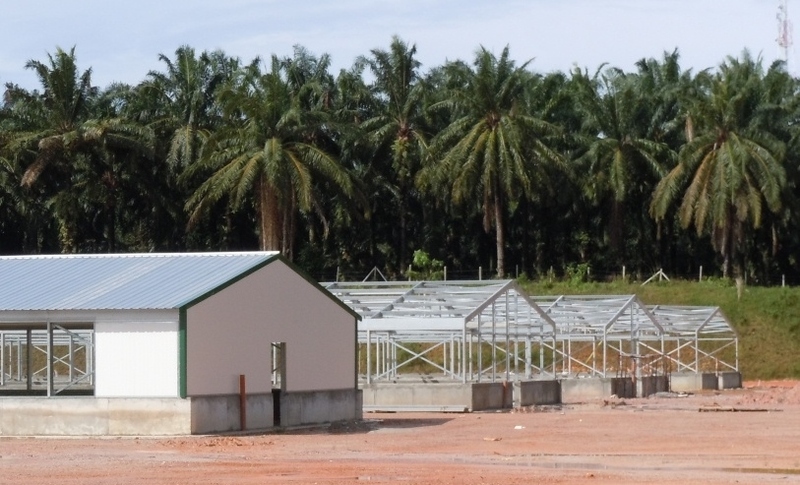 As we pay attention to our farmers needs, our structures are made of variant bays from 3m to 5m and allow us to avoid internal posts and to optimize the house implantation. Walls and partitions are fully made of sandwich panels insulated with polyurethane foam. For this kind of houses, the thickness of the panels can go from 40 to 80mm. As we use the latest generation of coatings, our sandwich panels are able to support regular and intensive cleaning. 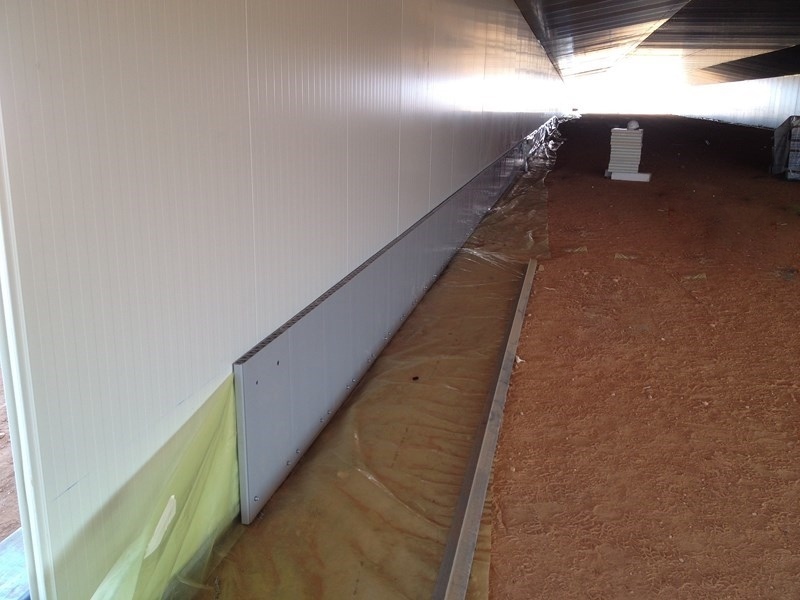 The use of sandwich panels will match with high insulation values and reducing the energy cost of the building. We guaranty no thermal bridges and a perfect air tightness. Whether for ceiling or claddings, the insulation of C-Lines building is entirely made with sandwich panels. Our choice of insulation avoids thermal bridges, make the cleaning much more easier and increase the air tightness. In that way, we can optimize the ventilation efficiency and reduce the energy consumption. The ceiling is completely flat and approved by our clients. It avoids heat accumulation on top of houses and increase air speed for a better dynamic ventilation. As result, it reduces the operational costs and allow an easy leaning. 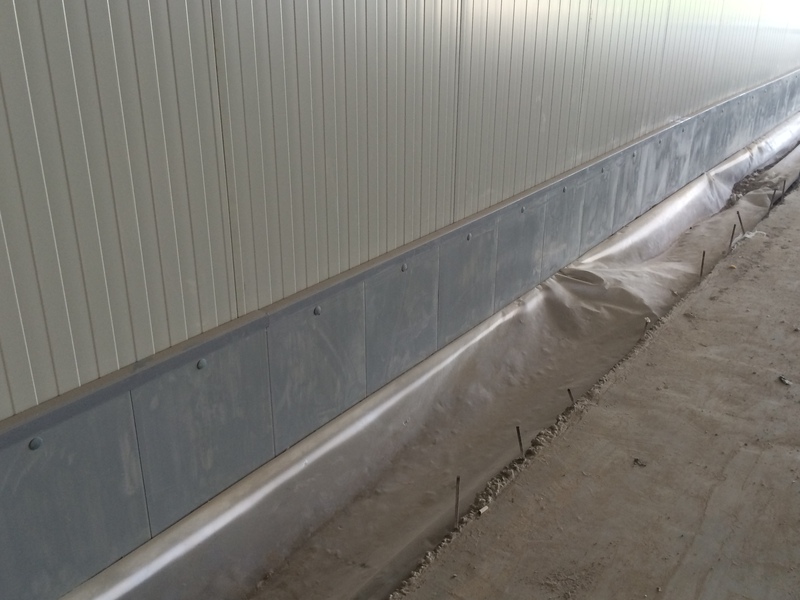 PVC skirting: besides concrete skirting, C-Lines can propose a PVC skirting. More economic, it is an excellent insulator and is very easy to clean (better for bio-security). Sidewalls: In addition with the PVC skirting, C-Lines advise his customer to insulate his houses from outside climatic environment. So C-Lines have a special design for the houses basis witch allow a better insulation. 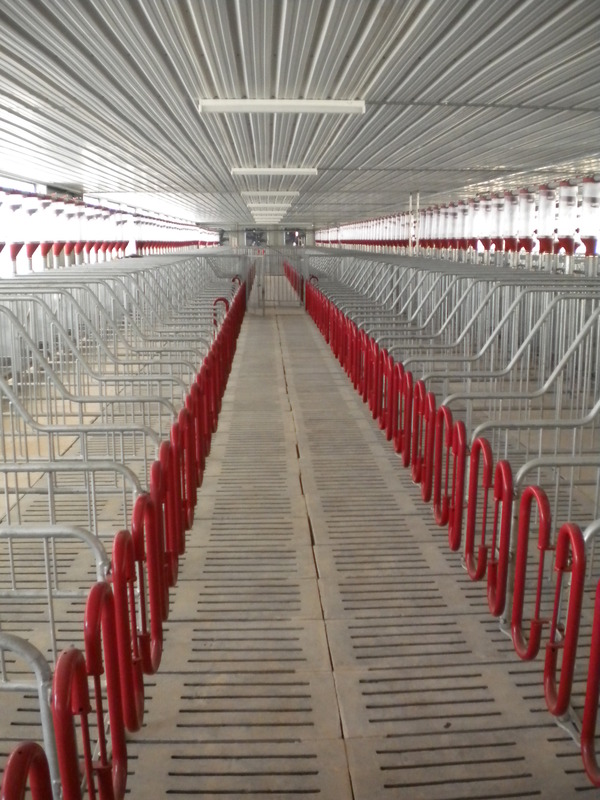 C-Lines adapts the coating of the panels to resist to swine’s environment aggressivity. We can use PVC, PVDF or galvanization to protect all materials. C-Lines livestock buildings are known for their aestheticism and good finishing. That’s why we are very careful in our doors’ choices. Thereby, we do the best mix between respecting all the technical constraints and good aestheticism. 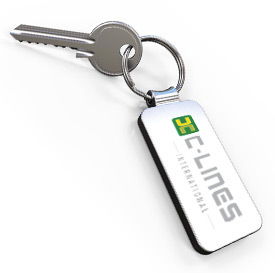 C-Lines will provide any kind of doors or windows with stainless steel parts and handles, any sectional doors or adapted windows. 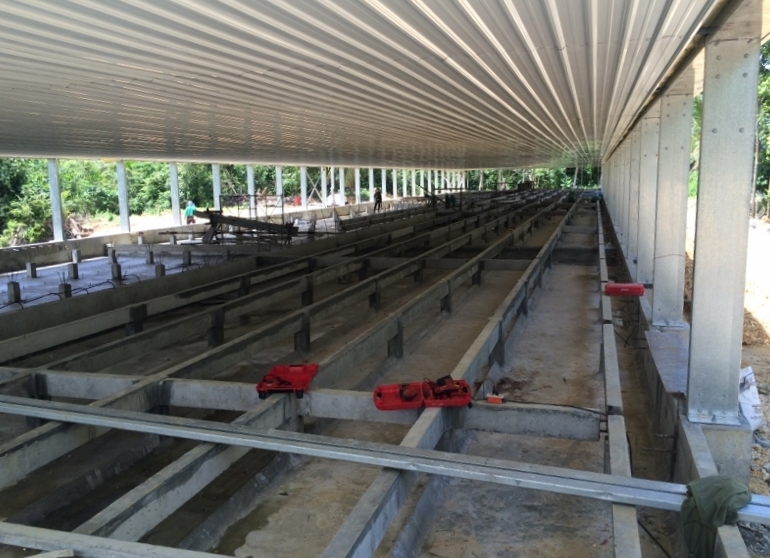 Any help on your pig livestock buildings ? ? Please contact our dedicated team.